It’s no secret that being overweight is bad for you. But some of us actually have the opposite problem. Perhaps you are skinny and you want to gain weight. If you want to gain weight, then this guide is for you. I will show you how to gain weight the safe way, and go over the strategies I used to go from 135 lbs to 165 lbs. How Many Extra Calories Do You Need To Gain Weight? I used to weigh 140 lbs when I started college and I felt like a twig. I always wanted to be heavier and have some appreciable muscle size. I am skinny because I am an ectomorph. If you don’t know what an ectomorph is, I suggest you check out this article. Chances are, you are skinny because you are an ectomorph. Some would say that you have won the genetic lottery because you naturally have a slim frame, but not all ectomorphs share that sentiment. In general, you naturally have a high metabolism, and a very difficult time gaining weight. With that said, it is important to note that there may also be a few other reasons why you are skinny. Hyperthyroidism: Having too much thyroid hormone can rev up your metabolism leading to weight loss, heat intolerance, palpitations and insomnia. Type I Diabetes: You would know if you have Type I Diabetes. This is a condition where your body fails to make insulin and as a result you must inject insulin into your body. It often occurs in early life and can be seen in very skinny people contrary to Type II Diabetes. HIV/AIDS: HIV can present itself as loss of appetite, weight loss, fevers, pain and frequent infections. Make sure that you follow with your doctor regularly, and know what your HIV status is. Cancer: The three principle signs of cancer are fevers, night sweats and weight loss. Again, make sure that you see a doctor for regular checkups. Thankfully, it is most likely that you are skinny because you are an ectomorph, and not because of one of these conditions. Be sure to check with your doctor if you are not sure. Most people like to bash BMI as a very inaccurate representation of body profiles. 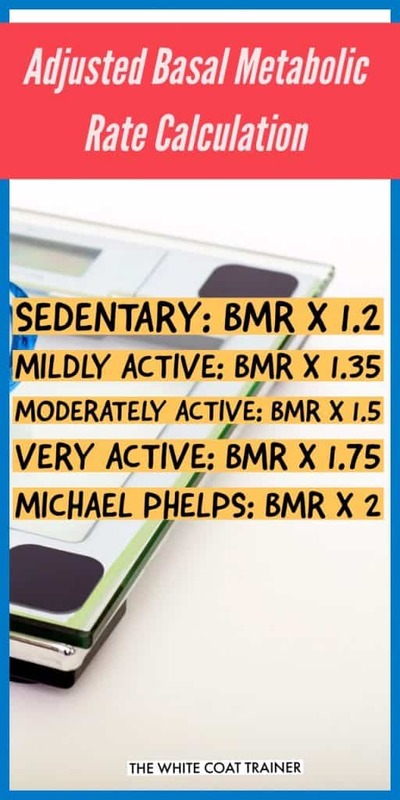 While this is certainly true in the opposite end of the spectrum (I was almost considered obese by BMI standards a couple of years ago), it has a great deal of merit in the underweight end. If your BMI is 18.5 or close to it, then you are definitely, without a doubt, underweight. Ok, what if your BMI is not 18.5? What else can you use to determine if you are skinny? Perhaps you don’t like that you can see your ribs. Or you don’t want a size X-Small to be baggy on you. There is nothing wrong with wanting to be a little heavier, or with wanting to add muscle size to your frame. Here are some average body weight numbers for both men and women. If your weight is below the minimum body weight listed below, then you are skinny. Don’t forget these values are for ectomorphic men only! Don’t forget, these values are for ectomorphic women only! Even if your body weight falls below these numbers, and you are perfectly happy with your appearance, there is nothing wrong with that! As long as you maintain a decent diet and a regular exercise routine, then you are golden. if you fall below these general guidelines and you would like to gain weight, then keep on reading. So what do you need to do to gain weight? The absolute number one strategy that you must use to gain weight is to enter a hypercaloric state. It means that you must consume more calories that you are burning. You probably understand calorie consumption, but do you know how many calories you burn? The amount of calories you burn is extremely complex, and can be influenced by several factors. Thankfully, there’s a quick way to determine the amount of calories you burn, aka your basal metabolic rate. It’s called the Harris-Benedict Formula. Your basal metabolic rate is the number of calories that your body burns at rest, just to keep you alive. Yes, you are burning calories just sitting there reading this. You even burn calories as you are sleeping. Or, you can just use the calculator here. This is roughly the number of calories you need to consume just to keep you alive. It’s accurate enough. There are several factors that can influence this number, but it serves as a useful baseline to start with. Now that you have this number, we must multiply it by how active you currently are to get your adjusted basal metabolic rate. There are five options; sedentary, mildly active, moderately active, very active, and Michael Phelps. Mildly Active: Your work requires physical activity, or you workout 1-2 times a week. Moderately Active: You exercise 3-4 times a week and engage in active work. In theory, this new number is the amount of calories you need just to maintain your bodyweight. So if your goal is to gain weight, then you must exceed this baseline BMR. Let’s say you are a 30 year old woman. You weight 100 lbs at a height of 5’2 and you are mildly active. Using the calculator above, your basal metabolic rate is 1240. In theory, you need to consume 1675 calories per day just to maintain your weight. Again, this is just an estimate, but a useful one. Alright, now what do we do with this number? Do you have any idea how many calories you consume each day? Thankfully, there is a convenient way to estimate this number. This method is not super accurate by any means, but it serves as a quick guide that you can use throughout the day. It’s the calorie control guide by Precision Nutrition. Basically, you use your own hand to measure the amount of each macronutrient you should consume at each major meal. 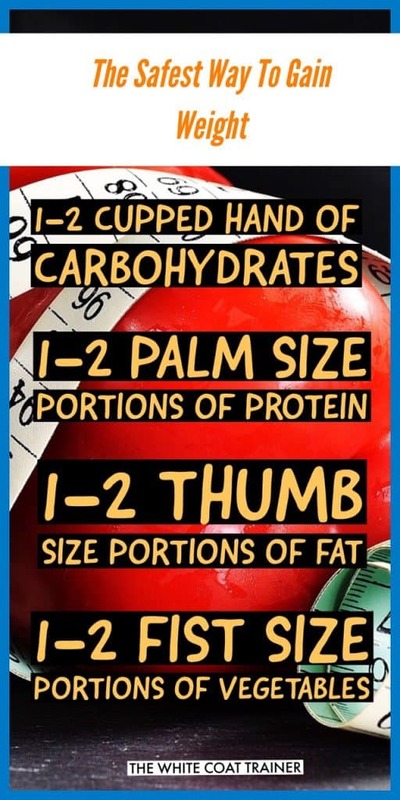 and 1 thumb (1 Tbsp) of fat per meal. Then, you need to be able to categorize a food into carbohydrates, proteins, and fats. Not all foods will fit perfectly into one category, but here are the general guidelines. Lastly, for a quick and dirty calorie count using this method, follow these general guidelines. 1 tablespoon of the solid fats will have approximately 50 calories, and 1 tablespoon of the liquid fats will have approximately 100 calories. 1 cup of vegetables will have a negligible amount of calories. For any other foods that do not fall into these criteria, you will just have to look up on MyFitness Pal. This is only temporary and you will quickly get a good sense of how many calories all types of foods have. All you need are rough estimations. Alright, let me quickly get something out of the way. There is a right way to do this, and a wrong way to do this. Going all in on whatever you desire is the wrong way. This is NOT a one stop shop to eat McDonald’s, Pizza Hut, Dunkin Donuts and 7/11 slurpees all day long. Yes, this will increase your bodyweight, but not in a healthy or safe manner. Unless you are an absolute animal and you kill it in the gym every single time, this method of eating will make you fat and extremely unhealthy. If you are an ectomorph and eat this way, you will become skinny fat. This is having the worst of both worlds. Can you get away with eating like this and putting on lean mass? Yes, but it’s not worth it. 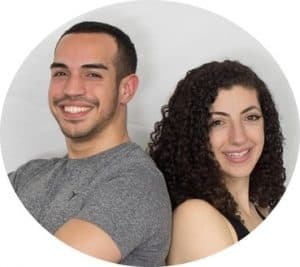 You are significantly putting yourself at risk of developing chronic metabolic disorders such as high blood pressure, hyperlipidemia and insulin resistance. Let’s talk about the right way to do it. How Many Extra Calories Do You Need Put On Weight? Now that you know your basal metabolic rate, and how to estimate the amount of calories you are consuming, it’s time to increase your caloric intake. It is important to gain weight in a controlled manner. Therefore, you should aim to increase your caloric intake by ~300-500 calories per day. You may be tempted to increase your caloric intake more to speed up the process. I highly suggest that you not this. You may slip up from time to time, but you should do your best to to not exceed 500 calories frequently. Believe it or not, 300-500 calories isn’t that much extra food. We will go over a few examples later. Inconsistency: If you try to increase your caloric intake by > 500 calories a day, you may begin to struggle with consistency. Your body, and most of all your stomach, will need some time to get used to the extra calories. So do not rush this process! You may notice that you will feel full more often than not, and may not want to eat as often as you need to. The simplest way to avoid this is to keep a modest caloric surplus every day. Using the example from above, let’s say you need 1650 calories per day for maintenance, and you want to gain ~10 lbs. In order to do this the right way, you should consume ~1900-2100 calories per day. Let’s say you get ambitious and decide to consume 2400+ calories a day. You may be able to consume 2400 four days out of the week, but you are likely to be so full that you wind up eating 1000-1200 the other three days. If you do this, then you are simply wasting your time. You must keep your caloric surplus relatively constant every single day to gain weight the right way! How Quickly Can You Gain Weight? If you follow the principles I have laid out above, you can expect to gain approximately 1 – 1.5 lbs per week. Sure, it may be slow, but if you want healthy, sustainable weight gain that wont be a shock to your system, this is how you should do it. Remember, this is a long term project. Nothing in fitness comes easy. Do not put your health at risk and become a statistic. What Are The Best Weight Gain Foods? Alright, let’s jump into the fun stuff. What should you eat to gain weight? There are a handful of foods that are very calorie-dense, making them the perfect option for hard-gainers. This is my all-time favorite method of gaining weight. Because power shakes are very simple to make and allow you to pack on a lot of calories in a short amount of time. Here’s how to make one that contains 300-500 calories. Liquid calories are much easier to consume in large quantities than solid foods, making them the perfect weight gain food. The potato is a starchy vegetable that goes well with just about anything and everything. It also helps that they are high in potassium, a nutrient almost everyone needs more of. If you like white potatoes, eat white potatoes. If you like sweet potatoes, eat sweet potatoes. Don’t eat them in the form of french fries. Bake ‘em, boil ‘em, or instant pot ‘em. Not many foods are as calorie dense as nuts. 3 ounces or a palm full of nuts have almost 200 calories. These make for the perfect weight gain snack! Nuts also provide your body with a lot of essential Omega-3 fatty acids to keep your brain healthy too! Buy a large tub and make several 3-ounce zip-lock bags to take with you on the go. Rice is another quick and easy way to pack on the calories. Half a cup is 100 calories. The white rice vs brown rice debate will always live on, but the fact of the matter is, each one has benefits that the other does not have. If you want to up your game even more than eat quinoa. Embrace the Latin culture and add some beans to your rice. Beans carry a lot of protein and fiber, making them a little known power food. There are numerous options to choose from: black beans, kidney beans, chickpeas, split peas, lima beans etc. Half a cup contains 100-150 calories. There is some data that beans are part of the reason why Latinos tend to have a long life span too. 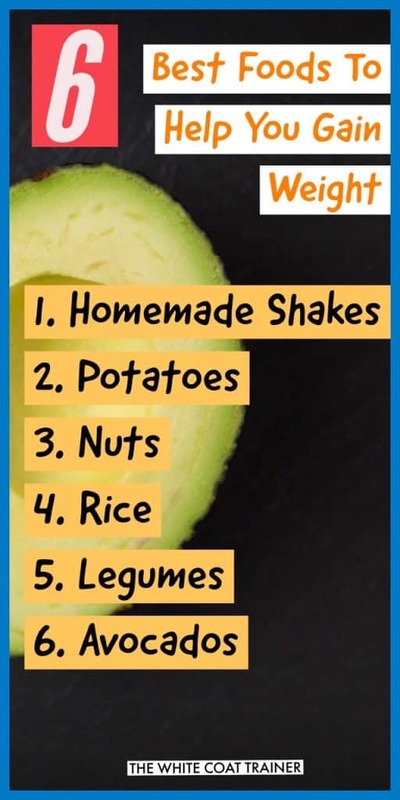 Rounding out the list is the avocado. This fruit goes well with just about everything and packs on a great number of healthy calories. Half of an avocado is ~100 calories. Wanna know one of my favorite meals? Some type of rice, topped with some type of legume, and a side of avocado. Alright, let go over a few more helpful strategies to help you gain some weight. One of the biggest struggles you may face is a lack of appetite. Eating a caloric surplus is hard. Most days, you may not feel like eating at all. Here are a few simple ways to increase your appetite. There is a growing body of evidence that people who eat slowly wind up consuming fewer calories, which is beneficial for weight loss. We are after the opposite effect. Don’t scarf down your food, but don’t get distracted either. There is also research being done on how taste and flavor impact our eating habits. We tend to overeat “hyper-palatable” foods when they are full of flavor. Take a potato for example. How many plain potatoes do you think you can eat in one sitting? Now, what if you take those same potatoes, fry them, add salt, and amazing tasting ketchup. How many of those do you think you could eat in one sitting? You just can’t seem to put them down right? Somehow, our bodies were designed to “over-consume” foods that taste really good, making them analogous to an addiction. Make your foods taste amazing by adding your favorite herbs and spices! The last strategy you can use to increase your appetite is to strength train. Nothing makes your body hungrier for calories than a good ‘ole strength workout. 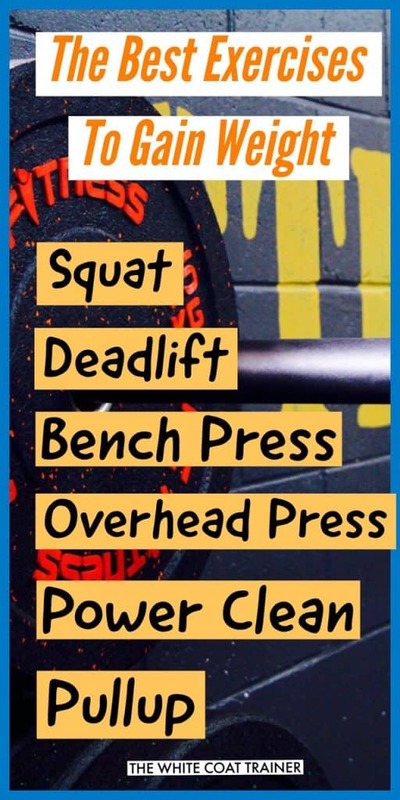 What kind of strength workout? I’m glad you asked. Any kind of physical activity has the potential to increase your appetite. This is normal, as your muscles require nutrients to rebuild themselves stronger than before. So what is the best way to exercise for weight and muscle gain? Our strength program covers this in extreme detail. The best part about our strength program is that you can do it in just 30 minutes a day. It’s also a good idea to not do excessive amounts of low-intensity cardio. In order to get your aerobics in, do plenty of walking! One last thing I need to cover is the topic of weight gain supplements. I used to buy these things and they are just a waste of money. You are far better off using your hard-earned money on real food. Especially the weight gain foods I listed above. Regardless of how fast you want to gain weight, the only way to do it is to consume more calories than you burn consistently. If you are in a rush to gain weight, then feel free to exceed your adjusted basal metabolic rate by more than 500 calories per day. The caveat is that you must consume at least 500 calories over your adjusted basal metabolic rate every single day. If you miss a day or two, you may have to start from scratch. How Come I Don’t Gain Weight If I Eat A lot? Because of consistency. You may be able to eat a lot in one sitting or in one day, but are you consistently eating a lot every single day without a day off? How Much Protein Do I Need To Gain Weight? Protein consumption is important for muscle protein synthesis but it is not the most important factor for weight gain. If you are trying to build muscle, then it is important to consume anywhere from 0.7 – 1 gram of protein per pound of body weight every day. This would be in addition to exceeding your adjusted basal metabolic rate by 300-500 calories per day. The best exercises to gain weight are the squat, the deadlift, the bench press, the overhead press, the power clean, and pull-ups. If you cannot perform any of these exercises, there are several variations of them that you could choose from to do instead. So that’s how to gain weight naturally and safely. How much weight do you want to gain? Is there anything you want to add to this guide? Thanks for the article. Love you guys and what you do. Thanks for the support Jeff! We really appreciate it.